The LVE has featured on this blog twice with an individual song. Uncommon for this blog as we usually review whole albums or shows. Listening to just one song gives an opportunity to really pay attention to what is on offer, without a need to keep an eye on the whole product and everything surrounding it. That way I could get under the skin of the then still called Lighting Vishwa Experience's single 'Love When You Don't Want It'. One of the best songs released this decade. This qualification sets a bar raised so high that I almost did not want to open the link sent to me by The LVE's singer and songwriter Gerrit Van Dyck. I was truly in fear of being very disappointed. Let me start by saying that I'm not. The LVE totally lived up to my expectations. Better, exceeded them. In several of its songs they capture extremely pleasant moods in a very successful way. The LVE has this laidbackness as if the whole world and all that comes with living in modern lives was locked out and had no way of getting in and influence the recording process in any way. If anything that is the greatest feat of this album. It opens in a strange way. For about a minute I thought I opened the wrong link or something. Nothing what I had expected to hear presented itself. Is this the same band? Is this an unknown side I hadn't heard yet? Yes, that certainly, but after this intro called 'Hello' the album continues with the already known 'Milky Sea' and all my anxieties were put to rest. What unfolds from that moment on can only be captured in words like inner rest, tranquillity and above all: beauty. Where to start? Let's start with the interaction of the voices of Gerrit Van Dyck and Sara Raes. They are truly complimentary as both manage to sound relaxed, nearly lazy, while both capturing the right emotion, every single time. Van Dyck is not afraid to hand over the leadspot when the moment calls for it. Around him he has found band members who all play in other bands, as is a true Belgian tradition of the past 20 years. Together they make Van Dyck's originally solo, lo-fi home recording efforts a true band one. The new single 'Closer' is another small miracle of the mood The LVE can create around a song. This is a song that in the end is rather fleshed out. More and more keyboards are added, giving it an 80s flavour. The song starts extremely small with an intricate guitar line and a lot of electronic things going on in the rhythm and keyboards in a modest way. As such the build up is well done. 'Closer' holds elements of dEUS in it, mostly in the rhythm and the way of singing. Then a beautiful guitar solo comes by before the keyboards take over and the song becomes bigger. Was 'Instant Street' an influence here?, it could well be. Sara and Gerrit go at it together in 'Hi On Love'. One of those songs that can best be listened to with eyes closed, headphone on and I let myself be swept away by the modesty and beauty of the song. There's almost nothing going on it seems, while it says it all. The voices really get into my head and play around there in their lazy Sunday afternoon kind of way. While the instruments follow in the same relaxed fashion. The same goes for 'Monami'. The song just floats. Like the most pleasant daydream in a life where all's good. There can be only one peak that is the highest in a mountain range. That remains 'Love When You Don't Want It'. I have said all that there is to say last year, but stand by my words. No one I played the song for was not moved. In short it ought to be a number one record. Who has the contacts with DWDD and the likes? Who contacts Giel Beelen's team? Get to work! 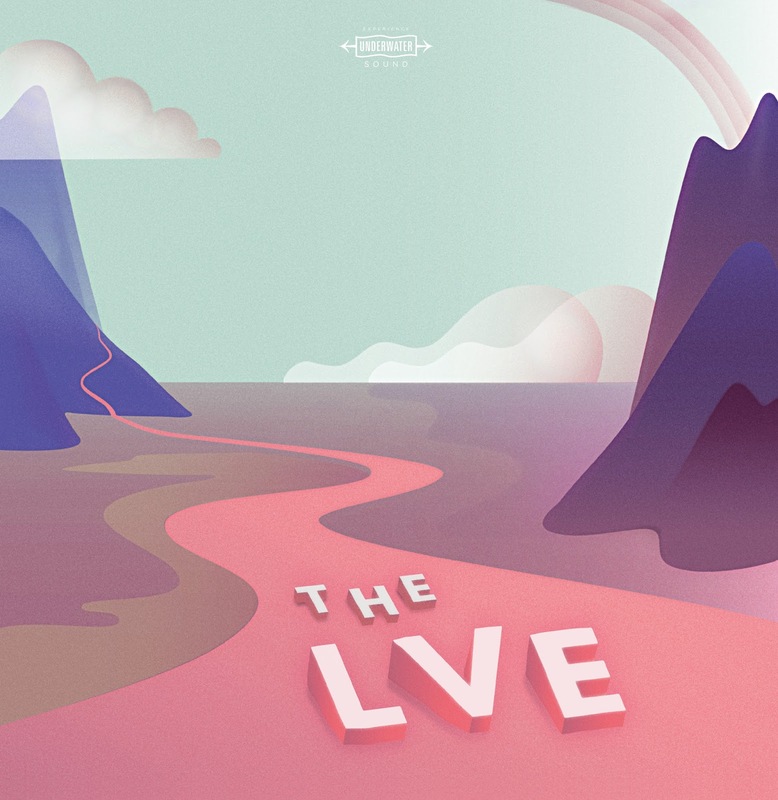 The LVE has come up with a beautiful album, containing all that I wished for. Taking into account, that all this beauty was created on the side of very busy lives, my admiration only grows. You have a fan, The LVE, but you already knew that. Linden is het alter-ego van de Schotse singer-songwriter Joe McAlinden, die een enkeling mogelijk zal kennen van Schotse cultbands als The Boy Hairdressers, The Groovy Little Numbers, The BMX Bandits en Superstar. Hoewel ik de Schotse popmuziek over het algemeen een warm hart toedraag, ken ik deze bands persoonlijk niet, ook al had The Groovy Little Numbers met Teenage Fanclub voormannen Norman Blake en Gerard Love twee van mijn muzikale helden in de gelederen. Ook de eerste soloplaat van Joe McAlinden heb ik drie jaar geleden niet opgepikt, maar zijn tweede plaat onder de naam Linden is me gelukkig niet ontgaan. 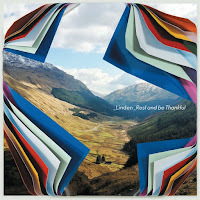 Op Rest And Be Thankful maakt Linden muziek die de zon overvloedig laat schijnen en bovendien de Schotse popmuziek weer eens nadrukkelijk op de kaart zet. Rest And Be Thankful herinnert aan de hoogtijdagen van Teenage Fanclub, maar ook invloeden van The Beatles en The Beach Boys en invloeden uit de eigenzinnige Schotse gitaarpop van de jaren 90 hebben hun sporen nagelaten op Rest And Be Thankful. Tenslotte doet de muziek van Linden wel wat denken aan de prachtplaat van de supergroep van Norman Blake en Joe Pernice, The New Mendicants; een plaat die twee jaar geleden helaas schandalig weinig aandacht kreeg. Ook voor de productie van zijn tweede soloplaat deed Linden weer een beroep op de gelukkig weer grotendeels herstelde Edwyn Collins en Sebastian Lewsley, maar het opnameproces verliep dit keer anders. Rest And Be Thankful werd samen met de band van Linden opgenomen in een Schots vissersdorp. De band zorgt voor een wat energieker geluid, terwijl de locatie heeft gezorgd voor een lekker ontspannen sfeer. Linden heeft zoals gezegd een plaat vol zonnestralen gemaakt, maar zoals zo vaak bij Schotse bands krijgen ook de donkere wolken een kans, waardoor de muziek van Linden afwijkt van die van de Californische soortgenoten. Op Rest And Be Thankful domineert de frisse gitaarpop zoals Teenage Fanclub die ooit maakte. Het is gitaarpop vol aanstekelijke gitaarlijnen, bijzonder aangename zang en zo nu en dan fraaie harmonieën. Het geluid van Linden wordt vervolgens incidenteel verrijkt met fraai klinkende strijkers, een lekker op de voorgrond tredende piano en mooi ingetogen spelende blazers. Met name wanneer blazers worden ingezet raakt de tweede plaat van Linden nadrukkelijk aan de Northern Soul uit de jaren 70 en dat klinkt nog altijd bijzonder aangenaam; net als de gitaarpop die de rest van de plaat domineert. Rest And Be Thankful van Linden duurt maar net een half uur, maar het is een half uur genieten van heerlijk melodieuze muziek met inhoud, die het uitstekend doet bij de aangename zonnestralen van de laatste weken. Een bescheiden parel in het enorme aanbod van het moment. Come Christmas, come The Beatles. Each year the former band knows to add another little something from their past to their catalog. 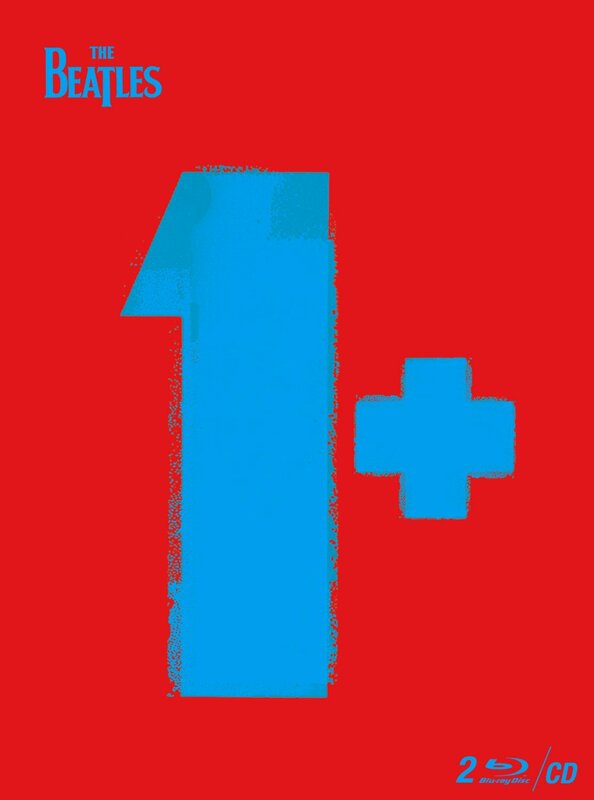 This year a re-issue of '1', the 27 number one hits the band scored in the U.K. and the U.S. The + are two dvds full of promotional videos the band recorded accompanying the hits from 1965 onwards, as it simply couldn't be all around the world at the same time. Somehow I couldn't resist and bought the three discs in an attractive package containing a nice booklet explaining it all, including all the facts and figures of the songs on the discs. To my surprise 'Love Me Do' had been a number one for one week right after the explosion of hits in the U.S., just like 'The Long And Winding Road' was number one in the U.S. All the other songs are to be expected, although there are some b-sides recorded as a number one hit. Just think of it; 27 number one hits excluding all that great hits that did not rise to that position. In comparison, The Beatles scored 16 number one hits in the Netherlands from 2-1-1965 until the winter/spring of 1970. This band was a hitmachine without comparison. Listening to the 27 songs, I'm baffled about how great the songs still are. The legacy of this band is simply huge. The quality is so extremely high. A quality I take for granted, simply because I have listened to these songs for as long I can remember. During the intro of 'Ticket To Ride', which is the leader music of each dvd's menu, I saw myself sitting in my aunt's bedroom, with her small gramophone playing this song and in my mind 'Yes It Is' followed directly. I was probably half listening, half doing something else. It was a near physical experience, sent through place and time to my first exposure to this music. In other words these songs are with me my whole life. Getting to know more through the 'Red' and the 'Blue' albums as a teenager, was another life-expanding experience. The music of The Beatles is so normal to me that I forget to play it. The songs are so a part of me, there's no need. And still I bought the large cd box several years ago. And now 1+. Watching the first dvd two things stand out immediately. The first is that the sound is stunning. 'Ticket To Ride' just sort of explodes from the speakers. That's when I knew something special was going on here. I'm not sure whether I ever heard The Beatles so clear before and in what is a perfect studio mix. The ridiculously left and right panning of the sounds is gone and that makes the songs so much better. The second thing is confrontational: They are so young! When I first heard them they were adults, so much older than I was and now I'm 30 years older than they were then. Caught forever in their prime. Moving further on into the disc a third thing presents itself and that is what made up this band and made it so big in the end, beyond the screaming girls and into the consciousness of everyone since the sixties: the variety of their music. The Beatles took on so many different styles, songs, rhythms and above all sounds. They opened up a box of tools in the studio and in their songwriting that still astounds. Even in a very early song like 'Please, Please Me', on disc 2, you can hear how good they are. Extra chords all over the place and fantastic harmonies. The joy of singing is everywhere and the interest in combination with creativity to go beyond the musically obvious, just jump out at you. Imagine that this was only The Beatles' second single. How many bands nowadays go through a rollercoaster like The Beatles have and come up with what these four lads came up with in a span of seven years? Some are lucky enough to produce two albums in the same period. From that horrible (and yet beautiful) song 'Yesterday' all the way to the invention of riff driven rock songs like 'Day Tripper' and 'Paperback Writer' all within under 12 months, All in between relentless touring and recording, these great songs were written. That ridiculous song 'Yellow Submarine' that also sounds so well here. The enigmatic 'Lady Madonna'. The absolutely fabulous 'Hey Jude'. My first own bought single, the first song I knew about that was a number one hit, the song that still sends chills along my spine, the song I'll love forever, the song that brought tears to my eyes when I saw Paul play live for the first time three years back, one of the best songs ever. The surprise is how good I thought 'Day Tripper' was, which I never truly liked, but above all how good 'Hey Buldog' is, a song I hadn't heard for years. It truly kicked me about. The fun thing is that I had not seen most of these clips before. The tv footage, yes, not the videos The Beatles experimented with from the mid 60s onwards. I'm not the You Tube watcher. I rather listen to music than watch it. With these exceptions like this evening. having fun with the music of my early youth. The music that still sounds so relevant in combination with the clips. If these clips show anything it is the interaction between the four, the imminent humor that always seems to surround The Beatles and how they were able to make something from hardly anything. On top of that it holds this fantastic music which is right up there with the greatest music ever. Finally, the two last singles from the 'Anthology' box are also here. 'Free As a Bird' and 'Real Love'. Although I still think the songs are more ELO, The Travelling Willburys or even Tom Petty then The Beatles in sound and production, for the first time I enjoyed them for what they are. Decent songs that John Lennon would have recorded some time on, had he lived. And finally, finally. Seeing the band perform 'Revolution', in that great biting rock version and on the roof in London, I again wonder what would have happened if they had decided to take a year long holiday from each other, come back to the studio and just like The Rolling Stones had gone back to touring. We would have had another decade with stunning music. I am just so sure that. On the other hand, we see a band in its prime here. They've obtained what Bob Dylan imagined just a few years after The Beatles called it a day: they are forever young. This DVD box is worth every cent and the cd with the 27 hits, which I did not buy in the 00s, is contained here also. The Beatles may not be a band for 45+ years as we speak, the releases since the mid 90s starting with the 'Anthology' have all added to the experience in one way or another. Some I watched, listened to, others not, 1+ is one of those releases that is a must have for every The Beatles fan. Flood is one of those album that was lying somewhere underneath a stack of records. I had listened to it. It didn't make an impression at all. Something Midlake like and I have enough Midlake's in my life: the real one. I have to admit that it is because I had to really clean up the house that Flood came up again and as I couldn't remember ever listening to it, that I put it on again. Lo and behold, it led to a review within a two weeks. During my second listen session I was thinking even Radiohead has a band trying to show that it is influenced by Oxford's finest. 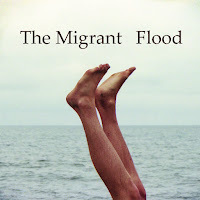 So that noticed two main influences in one album, but what I also noticed is that The Migrant's songs certainly had merit by themselves. So I listened on and quite rightly so. 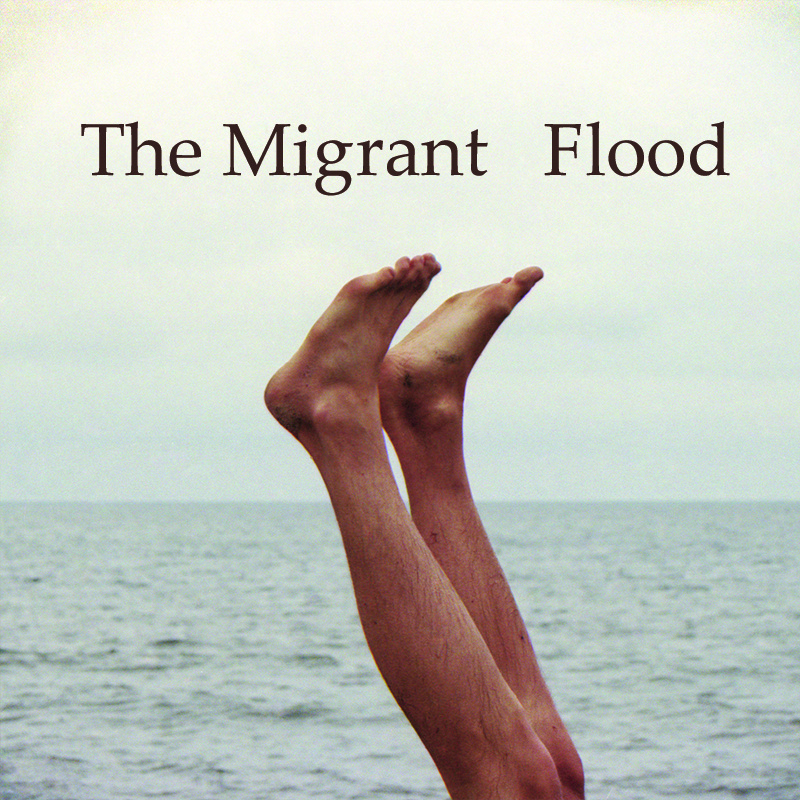 The Migrant is Danish musician Bjarke Bendtsen, born in Jutland, but now living in Copenhagen. Bendtsen was turned on to music after hearing Nirvana. There is nothing here that especially reminds me of that event. The same goes that he would never have gone to live in the U.S. without Neil Young and Bob Dylan living and working there. What I can relate to is that he has lived in Austin, Texas, fairly close to the already mentioned Midlake. Although Bendtsen has released several albums before Flood, this is the first I have ever heard by him. So there is nothing to compare and I can listen with a fresh ear. He recorded Flood with musicians from Copenhagen. That's all I can say unfortunately. From the moment I went deeper into Flood, these precious little stones presented themselves. Those little shiny things that after I dusted them off, proved to be real gems. Opening song 'Climbers' is just such a song. It starts as a singer-songwriter song with a voice like the previous singer of Midlake. When I really started to listen all these intricate little melodies presented themselves. In just such a way as Admiral Freebee does his tricks when he is at his best. Layers of guitars all have small parts, little notes, while the drummer plays this soft marching rhythm. To get that I had to pay true attention to what The Migrant offered. Once I did that I went beyond the superficial likenesses to others without looking back. Another feature that endeared me to The Migrant's music is the interplay between the acoustic guitar, which seems to be his first instrument, with the electric guitars around it. Although this is not exactly an unusual combination in pop music, the way it is done here caught my ear again and again. So many of them can be discovered. The eerie sounds in the background of the title song, makes 'Flood' so more atmospheric. It already is a moody song or better one with cold emotions and then this sound reminding me of a cold wind in the desert at night creeps up on me the whole time. Radiohead comes by a lot also. The Radiohead the world doesn't get a lot off any more, being the one of (before) 'O.K. Computer'. 'Street Fade Out' and 'Kharma Police' come to mind regularly listening to songs like 'Belly Of A Man', 'Water' or 'Haunted'. I have started to appreciate what The Migrant offers instead of trying to sing along to another song. All these songs have a quality and inner beauty of their own. Enough said. Finally The Migrant does an Elbow as well. 'Tiger' has this musical intermezzo that comes close to the one in 'The Take Of And Landing Of Everything'. It's not that good, but comes close. When it all ends with a fabulous, small song like 'Row Row' I know that Flood and I am good. Bjarke Bendtsen stands his own as well with just, it may be, a ukulele, before a few other small things come in. The melody is great and the singing takes the right tone to the song. What a way to end an album. By the way, I hated standing on my hands under water. It always ran into my nose. So the cover photo is not one of my favourites. 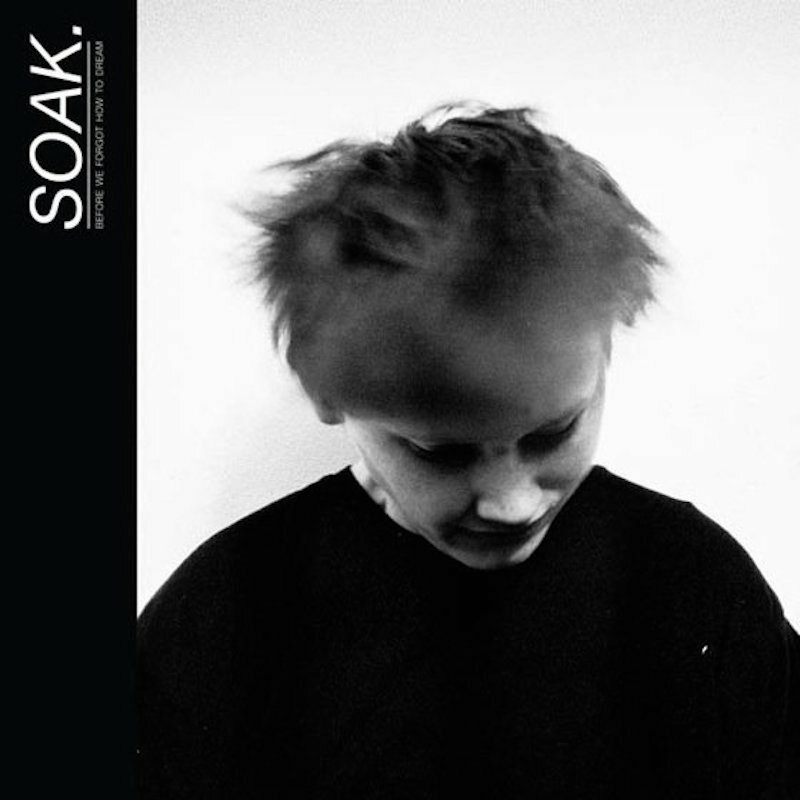 SOAK is het alter ego van de pas 18 jaar oude Bridie Monds-Watson. De singer-songwriter uit het Noord-Ierse Derry werd vorig jaar al geschaard onder de grote beloften voor 2015 en laat met haar onlangs verschenen debuut Before We Forget How To Dream horen wat ze in huis heeft. Dat blijkt heel wat, want het debuut van SOAK is een debuut dat indruk maakt. Diepe indruk durf ik inmiddels wel te beweren. SOAK blinkt op haar debuut vooral uit in intieme, stemmige en vaak behoorlijk donker klinkende popliedjes. Producer Tommy McLaughlin heeft het debuut van SOAK fraai ingekleurd met mooie gitaarlijnen, sober pianospel, donkere elektronica en hier en daar wat strijkers en percussie. Het levert een mooi ruimtelijk geluid op dat prachtig past bij de bijzondere stem van SOAK, die zich ergens tussen die van Julia Stone, Laura Marling, Sinéad o’Connor, Anja Plaschg (Soap & Skin) en Victoria Legrand (Beach House) in nestelt, maar ook zeker geen geheim maakt van de leeftijd van Bridie Monds-Watson. Op hetzelfde moment heeft SOAK in vocaal opzicht een geheel eigen geluid, dat ik zonder extra informatie overigens eerder in Scandinavië dan in Noord-Ierland zou hebben gepositioneerd. Before We Forget How To Dream is niet alleen in vocaal opzicht een bijzondere plaat. De ruimtelijke en vaak bedwelmende instrumentatie op de plaat klinkt steeds weer net wat anders en varieert van intiem en folky tot verrassend lichtvoetig of juist zwaar aangezet en bijna deprimerend. Het is een instrumentatie die van Before We Forget How To Dream een verrassend veelzijdige plaat maakt, maar het is ook een instrumentatie die steeds uitstekend past bij de bijzondere stem van Bridie Monds-Watson. Het is een stem die in eerste instantie waarschijnlijk een wat onderkoelde indruk zal maken, maar hoe vaker je naar Before We Forget How To Dream luistert, hoe meer emotie je zult horen. Bridie Monds-Watson maakt al muziek sinds haar dertiende en gaat de demonen uit haar tienerjaren op indrukwekkende wijze te lijf. Dat levert zo nu en dan beklemmende songs op die flink wat impact hebben, maar SOAK verrast net zo makkelijk met een zorgeloos popliedjes met voorzichtige hit potentie, al zijn popliedjes uit de eerste categorie op Before We Forget How To Dream zwaar in de meerderheid. Zeker wanneer je Before We Forget How To Dream wat vaker hebt gehoord, is het debuut van SOAK een plaat die zich steeds makkelijker opdringt en die ook steeds meer indruk maakt. Er zijn maar weinig jonge vrouwelijke singer-songwriters die debuteren met een geheel eigen geluid, maar Bridie Monds-Watson is hier in geslaagd. Het levert een plaat op die je beetje bij beetje moet ontdekken en die vervolgens zal uitgroeien tot eens serie songs vol diepgang, schoonheid en ruwe emotie. Schrijf maar alvast op als één van de meest bijzondere debuten van 2015. Comebacks are of the stuff that make up discussions that will never be settled in a satisfactory way. One fan is happy that his favourites are back together and/or releasing new work, others say that it will never be the same like it was before. The most sensible to me is listen to what is on offer and deduce whether it is worthwhile to listen to or not. 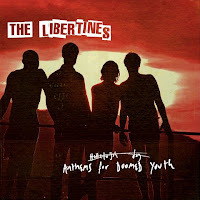 The Libertines have been playing together again for some time so an album was a matter of time. The release of Anthems For Doomed Youth did not cause a lot of noise here in NL. Perhaps that was different in the UK. The album sort of was there all of a sudden and mostly ignored was my impression. Taking into account that UK bands are mostly ignored over here for decades, the ignoring part was not so strange. The Libertines were never really my favourites over 10 years ago. I liked both albums, but not loved them. The production of Mick Jones of The Clash and Big Audio Dynamite fame brought The Libertines very close to basically The Clash. Punky with other influences all around mixed with junkie chic and a way of singing that suggested large quantities of alcohol all of the time. Oh, I had my favourites among the songs, so once I found out that Anthems For Doomed Youth was there I started listening and was largely disappointed. That was not the end of the record though. It slowly crept up on me. Several songs started to attach themselves to me and I found myself starting to whistle and even sing along to them. Something that no song of either Barat or Doherty solo ever has done. The richness of these songs slowly revealed themselves to me. What I started to find out was that the songs of The Libertines were so much less one dimensional. All sort of subtleties and emotions crept up making Anthems For Doomed Youth more and more an experience to listen to. Leaving Mick Jones behind as producer allows the band to let in other influences that go well beyond The Clash. The Kinks come in and even a little The Beatles is lurking in the background. Next to that the members all are over ten years older, so have more experience and different tastes than back then. The title song and a song like 'You're My Waterloo' take the foot of the gas, after an opening set of songs that remind most of what went before in a pleasing way. The difference with then is the laidbackness and the daring to truly open up musically. That the pure music seems to be enough and the band has the courage and confidence to leave it at that. One of the highlights of Anthems For Doomed Youth is 'Iceman'. A song that starts with a broom rush sound, suggesting waves, with just a ragged acoustic guitar following up. Ray Davies is so close here. The lyrics set a scene, suggesting an environment where the song takes place. 'Iceman' step by step expands into a bigger song as more instruments fall in one by one. Without losing its subtlety. Now I doubt whether I would let my child near this Iceman, but that is another story. The album works itself towards an end. 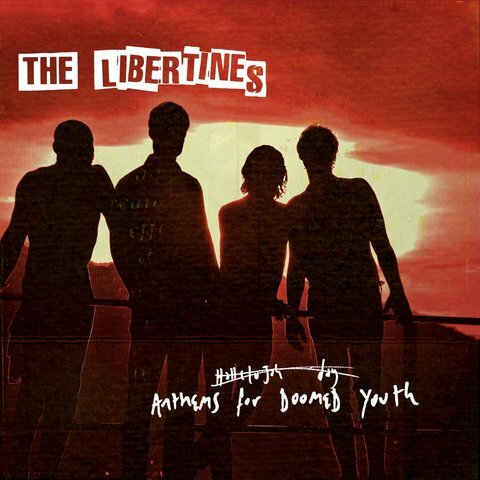 As always there comes a moment that I have heard enough The Libertines. There is some uniformity in the whole that makes me turn away again, but in the meantime I have listened quite often to Anthems For Doomed Youth in the past weeks and will keep doing so is my guess. In the meantime I enjoy 'The Milkman's Horse', another one of these great reminiscing songs. My overall conclusion is a simple one. Having listened to several of the solo or substitute bands in the past ten years, these lads cannot do without each other. The Libertines is what makes them go and reach for great heights. Hopefully they see that themselves now also. What a cover. The wonders of modern art stare me in the face. A huge canvas whiter than the room's walls are, the play of the spotlights, the relative darkness of the floor, the shadow play and all the contrasting colours in the dress and bag of the woman in the room. If The Fratellis had left the lettering out of the cover, it would have art in art and a true artful cover. Understandable that the band/the record company wants the name in there, but what a missed opportunity. The Fratellis? I had almost forgotten about the band. Of course I sang along like the rest of the world with 'Chelsea Dagger'. Who didn't in, is it 2006 already? I saw the band perform in Het Paard in The Hague. But it is the second album the band released I really like. And after that silence for years. Doing some research showed that I have missed something here and there in the past seven years. A solo album, a band album even, but nevermind, here's Eyes Wide, Tongue Tied. The Fratellis and I are back on track. Not that I play this album all of the time. I just like to come back to Eyes Wide, Tongue Tied and enjoy what I'm hearing. Gone is the novelty of 'Chelsea Dagger'. There is no repeating a novelty hit. Trying to copy doesn't help. After the second single after the novelty, whatever it is and often no matter what the intrinsic quality of this song is, the world has forgotten everything except the novelty hit. Having a novelty hit is a curse for a band. At the positive side the band scored a world hit, that most bands never reach at. The pretending to be brothers Fratelli again come up with record that is full of catchy rock/pop songs that it is easy to attach oneself to. Putting on Eyes Wide, Tongue Tied means that a tidal wave of positively sounding hit songs push against my eardrums like there is no tomorrow. It is like these happy sounding songs hide in Jon Fratellis sleeve and all he has to do is shake his sleeves just a little for them to fall out. As if it doesn't cost him and his band members Barry and Mince any bother to produce these sounds. Songs like they have always existed. In other words, The Fratellis have a knack for writing and arranging extremely catchy songs. The downside is that it is hard to point to one song that is extremely special. They all sound so true and well-meant. Some may appeal a little less to me, but that is because the melody speaks less to me. Not because it isn't another free-flowing song. A good example here is 'Thief'. The verse reminds me faintly of 'Ghostbusters', the chorus is heavenly and then comes a more prickly part. Some aah-aah always works. Almost like four songs in one. 'Thief' takes more bends than a rollercoaster and still is a poppy song. If I have to make one exception to what I just wrote it is about the fantastic 70s rocker in the best of the Faces style of 'Too Much Wine'. This rocker holds all one wishes for in a rock song with pop lyrics and melody. Including a slide (like) sound of the guitar. At the same time Eyes Wide, Tongue Tied is far from one dimensional. When moving up into the album songs can be found that provide enough variety to keep the album interesting. The funky 'Dogtown' is almost a surprise. When a carnival element is added to the music, it does become a surprise. The horns pump up the song to another dimension. 'Rosanna' is also different, with a dancey rhythm, is starkly accented and has some psychedelic fillings also. Despite all that the song still holds enough pop elements to want to sing along anyway. 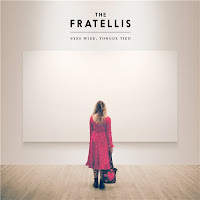 By then I know for certain that The Fratellis have produced yet another pleasant album that is worthwhile to listen to repeatedly. The band has branched out without losing sight of its roots of old. They even dare to take on a Deacon Blue like ballad in 'Slow'. 'Chelsea Dagger' may be a decade behind us, The Fratellis are who they are, a band proving its right to exist with another extremely pleasant, good and varied album. Madisen Ward & The Mama Bear is een Amerikaans duo uit Kansas City dat in eerste instantie vooral opzien baart door de bijzondere samenstelling. Ruth Ward, oftewel The Mama Bear, is inmiddels 63 en heeft al een heel muziekleven achter zich. Haar zoon Madisen Ward is pas 27, maar heeft met zijn moeder inmiddels al heel wat jaren op het podium gestaan. Moeder en zoon Ward zijn voorzien van buitengewoon imposante stemmen, die aankomen als de spreekwoordelijke mokerslag. 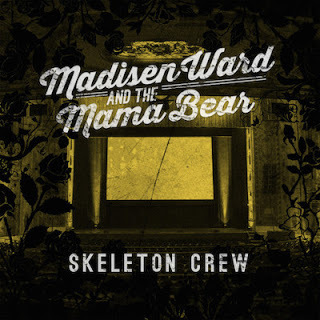 Die van Madisen Ward is op Skeleton Crew, het debuut van het tweetal, het meest dominant aanwezig. Het is een stem die wel wat doet denken aan die van Fine Young Cannibals zanger Roland Gift, al is de stem van Madisen Ward wel voorzien van meer kracht en zeker ook meer drama. 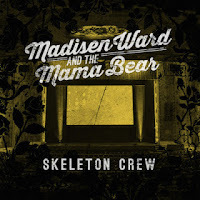 Ruth Ward neemt op Skeleton Crew genoegen met de achtergrondvocalen, maar als ze zo nu en dan op de voorgrond treedt, hoor je dat haar stem al even bijzonder is. Madisen en Ruth Ward begeleiden de bijzondere vocalen op hun debuut met eenvoudig maar zeer doeltreffend akoestisch gitaarspel, dat af en toe gezelschap krijgt van fraaie accenten van een viool. De songs van het tweetal zijn over het algemeen eenvoudig en sluiten aan op de muziek die in het Zuiden van de Verenigde Staten al tientallen jaren wordt gemaakt. Madisen Ward & The Mama Bear kennen hun klassiekers en putten op hun debuut uit flink wat decennia soul, gospel en vooral folk en blues. Door de voorliefde voor aanstekelijke refreinen lijkt het allemaal behoorlijk lichtvoetig, maar de mooie verhalen die moeder en zoon Ward vertellen zitten vol emotie. Het is emotie die een bijzondere lading krijgt door de unieke strot van Madisen Ward. Het maakt van Skeleton Crew een uniek klinkende plaat, die na enige gewenning (zeker aan de stem van Madisen Ward) steeds mooier en urgenter wordt. 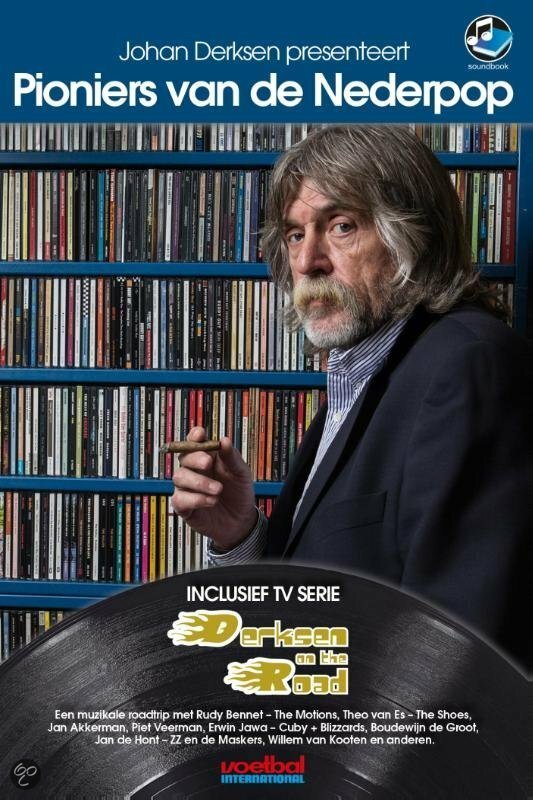 Dinsdagavond woonde ik in het Oude Luxor te Rotterdam de première bij van Johan Derksen en de Pioniers van de Nederpop. Voorafgaand werden in de zaal allemaal “Gouwe Ouwe” gespeeld die door een uitgelaten zaal oudere jongeren werden meegezongen. De avond begon met wat nummers gespeeld door The Clarks, een voortreffelijke cover band. 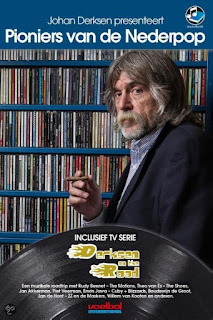 Johan Derksen kwam daarna een praatje houden over het ontstaan van de Nederpop en kon niet nalaten de huidige muzikale koers van de Hilversumse zenders te bekritiseren. Ik kwam echter niet voor Johan maar voor zijn gezelschap. Wat te denken van Jan de Hont (ZZ en de Maskers), Frans Krassenburg (Golden Earrings), Johnny Kendall, Theo van Es (Shoes) en Rudy Bennett (Motions). Allemaal mochten zij vier van jun hits uitvoeren. Tussendoor speelde de Clarks covers van tijdgenoten Beatles en Stones en van mannen die er niet waren zoals Cuby, Wally Tax en Q65. Een kennis uit Den Haag was al naar een try-out geweest en daar was ook Hans Vermeulen erbij, maar omdat hij in Thailand woont was dat voor de rest van de theatertour niet mogelijk. Zijn muziek werd echter prima vertolkt door ene Joëlle Vierling die ook uitstekend uit de voeten kon met Earth & Fire en Shocking Blue. Na afloop werd het heerlijk avondje voortgezet met een jam in de foyer. Was je er niet bij? Er komen nog 26 voorstellingen aan. Als je net zoals ik toen te jong was, dan is dit je enige kans. Kijk op www.pioniersvandenederpop.nl. Alt-J? Wasn't that the band that I totally did not get in 2012 and again in 2014 and then out of the blue bought an LP of in the winter of 2015, which became my most played album of 2015, easily? Yes, that Alt-J. That Alt-J, when telling people that I went to see the band, mostly gave a blank stare in return: who?, their faces asked me? 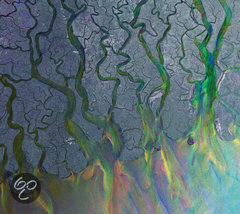 Yes, that Alt-J. Next always followed a very difficult question to answer: What kind of music do they play? Well, something alternative, rock, indie, some folk, lots of strange rhythms and synthesizers and flute and ..... The blanks on these faces just grew emptier and vaguer. That Alt-J. Simply too little people seem to have heard of the band and that showed at the Ziggo Dome. Half full? That is still a lot of people of which some around me showed total devotion. The Alt-J that gets little to no radio play. Just mentioning the show on the radio in the morning and not playing a single song, is a bit weird, Giel Beelen. This band deserves some airplay, even if it is a bit far out there.. Nothing happens at an Alt-J show. Well almost nothing. At best the keyboard player sips his drink or one single dynamic guitar stroke the moment before the show ended. The three men standing even dress the same. A black t-shirt with grey tending towards black pants. In other words totally nondescript. Except for the drummer, who is omnipresent in sound and motion. His drums sounded so full. An effect was added that made them sound like they were played in a large hall (or dome in this case) filling the whole dome. What a sound, so clear and so extremely varied. If someone stole the show it was Thom Green. His sound, energy and varied drumming makes it possible for Alt-J to play these large venues. The songs as such lend themselves, exceptions noted, for intimacy; for head phones in privacy. This was my first in the Ziggo Dome, while I'm preferring small venues more and more. All the stories about how good the sound is all came true during this show. At times even fantastic, as so many subtleties in the music came alive. The seats are fine and the view of the stage excellent. Time for Alt-J again. The band is near total static, uncommunicative. So there is only one thing to do: play the songs in the best way possible and this the band did. Starting with the aptly titled 'Intro' Alt-J silenced the room immediately with just the wordless singing. My fear of being bored because of the intense and at times strange setting of the songs, was totally without merit. So many sounds came alive during the show and not even a lot came from pre recordings was my impression. 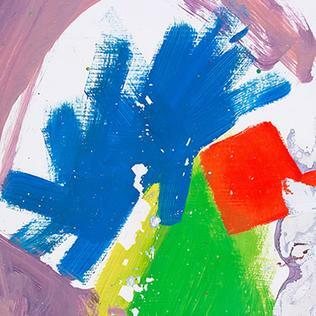 Alt-J has learned to get a maximum effect from the sound eruptions its music holds within it and dares to bring everything down to just the vocals as well. The dynamics are stressed to maximum effect. The best example is a moment that a single piano note is repeated fast, something any child could play, that is intersected by one loud band crash, after which a new note follows. A startling effect. If we add the light show that was omnipresent at times, we come to the other feature that made the show very dynamic. A lightshow truly supporting the music and the band members, while they played their songs. Songs that are weirdly structured, strangely rhythmed, hardly comprehensively sung, yet so pleasant to listen to. A lot of songs from the first album, 'An Awesome Wave' came by. Only because I didn't recognise most of them, there was no time to prepare, I could make the distinction. It looks like I have another album to buy. Alt-J live is an experience. Perhaps almost like going to a classical concert, which I never do. It is totally alright to just sit and listen, eyes closed. It is because of preconception of rockshows that we expect more. Does Alt-J's music need show? Not really, but it's o.k. if it's there. Together the two elements made the concert an experience. There were so many small elements that made me so happy just listening with no need to jump up and dance. A very noteworthy show. Just one question remained: Where were the flutes? I was kind of looking forward to hearing 'Garden Of England' live. How time flies. It is at times like this that I realise that fact once again. The first Editors cd is ten years old this year. That means it is that long ago that my then colleague Cynthia raved about this new band she heard (and dropped as usual with the second album). I didn't hear it though. Too dark for me that voice. I never really got into the band until that single of the previous album, 'A Ton Of Love'. That was a pop song in a rock setting if I ever heard one. Not representative for the rest of the album I found, but still. In Dream is nothing like that album. Guitars have sort of disappeared and synths and piano have the primary role. Not so strange considering that Tom Smith, who is the leader of Editors, is a piano player foremost. What I notice firstly listening to In Dream is that a lot of the songs must have been deconstructed after conception to the vocal melody and then built up again. 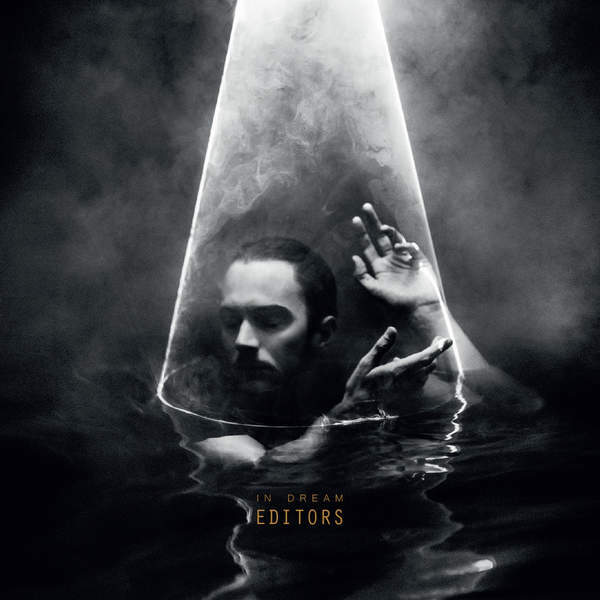 This way Editors could create something completely new. Other rhythms, other instruments, other moods. My second thought is Depeche Mode in a somewhat more organic and less industrial mood. A song like 'Enjoy The Silence' does come to mind though. My third thought is, yes, I'm impressed. Tom Smith lets his overly depressing, deep voice go at times and plays with timbres and heights and opens up the Editors world and lets some light in. Perhaps not a lot, but just look at the sleeve. Light in an high art kind of way, illuminating only what needs illuminating. 'Forgiveness' has a deep bass line, compensating for the voice perhaps. The voice(s) go all over the place, even into falsetto territory. This opens everything and makes the song a pop classic with some weird elements in the rhythm and dressing up, but this is near pure pop. In Dreams opens with 'No Harm' which is a statement of intent. Dark, darker, darkest sounds. The intro could have been part of the score of 'Skyfall' during the scenes in the dark, gloomy house. The falsetto voice is one of despair of someone seeing everything crumbling down around himself. The music goes back to the days of Ultravox' 'Vienna', but slower and darker. So we enter Nick Cave territory, if we think away the higher registers of Tom Smith's voice. This song is absolute beauty of the sort that can hardly be seen, totally obscured by dusk's shadows. An impressive opener to the album. Luckily it is not followed during the whole of the album. 'No Harm' is simply too gloomy. With a female voice gracing two songs in total, Editors changes the sound of its songs completely. The higher and faint voice of Rachel Goswell (singer of Slowdive) goes around Smith's voice with ease. The light piano melody in 'Ocean of Light' makes much more sense this way. Justin Lockey's guitar comes in to the song like the guitars in Coldplay. No chords, just a motive playing around somewhere in the song, colouring it in, not carrying it. I have to admit that In Dream does not keep my attention like the first songs do, but Editors and I have come a long way for me to write this much. In Dreams has moments that are monumental. Huge, though as clear as crystal, strong, but sensitive, robust yet fragile. Behind the vast electronics is a band that shows emotions. Feelings that can be imagined to have come from the isolated recording sessions on the west coast of Scotland, with nothing but the elements around the studio. The 80s are back. 'Life Is A Fear' brings it all. The Cure, Depeche Mode, Tubeway Army, they al shine through here. Another great song with a simply gorgeous synth line (China Crises anyone?) and a disco beat that Donna Summer would have found her way in during the mid 70s. The ambient world of Brian Eno floats into 'The Law'. Together with electronic drums, synths, 'People Are People' and Ms Goswell taking part of the lyrics, something happens which sounds so familiar. And then that delicious guitar notes come in as well. Fingerlicking good. it's so sweet, 'The Law' is. Although In Dreams is modern, the overall feel is 80s. Doom is around the second corner perhaps and not on the corner as in 1980, but still. That feel is there with better songs then most could produce around that time of old. And then a final name pops to mind, a singer that is behind all this mentioned and more. A name that explains it all for me: David Bowie. Bowie's darker periods sound through here in a clear way, lifting In Dream even a level higher. As I wrote Editors and I have come a long way of mainly not communicating to each other with an odd exception here and there. I never gave up though and finally it paid off. In Dream is a beautiful album and has moments of extreme beauty. Enough said. 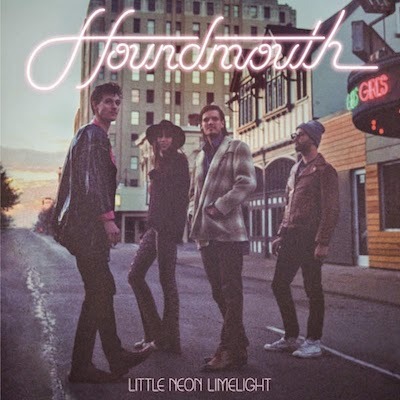 Tenslotte vind ik Houndmouth in vocaal opzicht veel beter dan de genoemde zeer succesvolle bands. 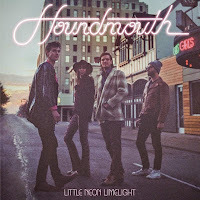 Ook Houndmouth grossiert in gepassioneerde vocalen en zwaar aangezette harmonieën, maar het lijkt bij de band uit Indiana geen kunstje. De band combineert op bijzonder fraaie wijze mannen- en vrouwenvocalen en zeker wanneer er in vocaal opzicht gas terug genomen mag worden, waan je je een aantal decennia terug in de tijd, terwijl de band in de harmonieën ook uitstapjes richting gospel kan maken. Little Neon Limelight is tenslotte ook nog eens een enorme groeiplaat. Bij eerste beluistering vond ik de muziek van de Amerikaanse band vooral lekker klinken, maar inmiddels is Little Neon Limelight voor mij een van de beste rootsplaten van de laatste tijd. En hij wordt nog steeds alleen maar beter. Zeer warm aanbevolen dus. In September Wo. reviewed 'Just Kids', the autobiography by Patti Smith. At the end he promised to review Horses in celebration of the album's 40th birthday. So here he goes. In the winter of 1976 I was in my final high school year, for some years to come that is. On Tuesday afternoons the VARA broadcasted the album top 20 and if I cycled home like crazy I would be in on time to operate my small cassette deck wired to the radio. The start of Wo. as the lover of albums. One of the albums that entered the album charts during that one school year that I was able to listen from 16.00 until 17.00 was Horses. I distinctly remember hating it. That Patti Smith person couldn't sing, the songs were horrid noise. This sucked, major. All that changed with 'Wave', which I still think is Patti Smith's best album to date, in 1979. Did I get to like Horses? Well, I never really gave it a second chance I noticed. The opening song, yes. The cover 'Gloria', the hit of Them in the mid 60s, vamped up by spat out lyrics that have nothing to do with the original. "Jesus died for somebody's sins but not mine". Excommunication and eternal damnation, I'd say and who cares 40 years later? Not me. 'Gloria' is a glorious rocker. Singer and band cook it to phenomenal heights and a level that Van Morrison may never even have imagined in his wildest dreams. Patti Smith's lyrics and presence do the rest. Remembering 'Just Kids' here is somebody who never imagined being a performing artist let alone a singer and now spearheading the punk/new wave movement of New York. Reading up a bit on the album is when I really become conscious of how big this album is. 4,5 and 5 star reviews all around. Something I never heard at the time. Something I can easily mend in 2015. 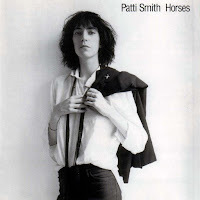 Horses still is exciting almost 40 years after its release in December 1975. The album has a sense of urgency that is rather unique and that has everything to do with the interaction between the hurtling, stuttering, exhorting singer and the band that does everything in its power to keep up and follow, without selling its singer one inch short. Compliments have to go out to producer John Cale as well as he managed to capture all this, including the timelessness of the performance. The performance still speaks volumes over the decades gone by. This album could have been made by a punk band in 2015. And all that while Horses may have been a hasty affair. There are several covers on the album and some real poems set to music. This isn't yet what the Patti Smith Group would become in the years to come. When truth be told, Patti Smith and band had to find their own musical voice and not somebody else's. At the same time they had found so much power and prowess. Wilson Pickett's 'Land of a Thousand Dances' is reformed beyond recognition. Patti is firing off lyrics from two angles. The band recreated The Velvet Underground around and beyond here. Pounding away relentlessly creating a sonic storm. 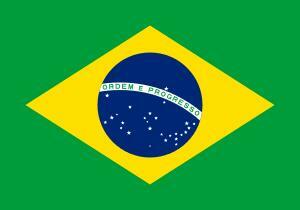 In the past week I was in Brazil for an international conference. Mostly being in meetings, chairing some workshops, attending a few, while mostly working in the background writing, reporting, preparing. About two full days of the 10 being underway were spent traveling to this remote town near the most Eastern point of the Americas. Despite the extremely late hour, considering the time difference, of arriving in the north-eastern town of Joao Pessoa and despite my brain slowly closing down on me, one song crept into my mind straight away, a song that I haven't got a clue by whom it is, but a song I associate with the country totally: "Brazil, la la la la la la". It just went on and on in my head, while I walked off the tarmac of the small, domestic airport towards the terminal. It was so much warmer than home. Everything told me I had arrived for sure. What I want to share with you is the musical experience I had in Joao Pessoa. Why? Because it was so different from what I am used to. Perhaps Greece comes closest with all the exotic eastern sounding music there in public transport. In the whole week I was there I have perhaps heard three songs I had heard before. Music on the radio of the van that transported us to the congress center and back? All were in the Portuguese language. At night we ate mostly on the beach in one of the many small restaurants there. Live music is played for most of the day. Usually one guitarist who sings, a guitarist with a drummer or even one more musician could be found also. Every song they played was Brazilian. With one exception that I can remember: 'Hotel California' by the Eagles. Sung with an incredible fat accent, and most likely phonetically. So little people speak even one word of English that it is not surprising that English songs are an exception. Another fact that was obvious, was how deep some of the songs spoke to the people. Some were sung along to with a deeply felt emotion. There I was sitting in a Brazilian beach restaurant having dinner with a soft, extremely pleasant wind coming of the Atlantic and everyone around you starts to sing along. At the same time the emotion just speaks out loud on the people's faces and from their voices. Something that never happens in this western European country I live in, unless it's someone's birthday or something. This was just one of the things that happened, looked at or felt, that made me realise that I was a long way from home. Not recognising any music, along with the heat, the coconuts, the capirinhas, the mix of wealth and poverty and everything that comes with that, certainly is one very noticeable element. Did I like the music? Good question, but the answer is somewhat indifferent. Let me just say that it was fun while it lasted in the background. Muziek van Arvo Pärt, John Tavener of Gavin Bryars is voor mij pure magie. Deze muziek gunt me vaak even een kijkje in de keuken van de eeuwigheid. Ik mag dan heel even over de schutting van de Hemel kijken. Het probleem is echter dat dit effect snel slijt. Als ik het stuk een keer of tien, of misschien twintig, gehoord heb, is de magie uitgewerkt. Of misschien is er een permanente verandering opgetreden en is het nieuwe eraf. Dat weet ik eigenlijk niet. In ieder geval lukt het me dan ook niet meer om de magie aan anderen over te brengen. En dan moet ik op zoek naar nieuwe magische muziek. De meest magische cd die ik ken, draai ik bijna nooit. Juist om de magie te bewaren. 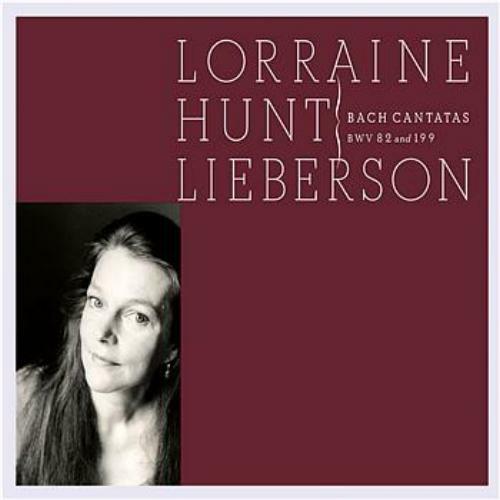 Het gaat om de cd ‘Lorraine Hunt Lieberson, Bach Cantatas’ (Nonesuch 7559-79692 2). ‘Ich habe genug’, gezongen door de toen al doodzieke Lorraine, in ziekenhuispyjama en met een infuusstandaard naast zich op het podium. Dit is zo doorleefd dat het pijn doet. De dood staat als het ware naast haar op het podium. Maar juist dat is magisch, want dat maakt het mogelijk de dood recht in de ogen te kijken. Als klein jongetje vond ik eens een half vergaan dood dier in het bos. Ik kon niet eens meer herkennen wat het geweest was. Ik schrok enorm en wilde wegrennen. Maar dat deed ik niet. “Blijven kijken tot het niet meer eng is”, zei ik tegen mezelf. En dat werkte. En precies zo werkt deze opname ook: je kijkt de dood recht in de ogen tot hij niet meer eng is. En als de doodsangst verdwijnt wordt het lijden dragelijker. En dan verandert het ‘ich habe genug’ van betekenis: niet meer ik ben het zat, maar ik heb genoeg. Troostend! En die troost wil ik mensen kunnen meegeven als ze het heel hard nodig hebben. En soms ben ik dat zelf. In 2014 introduceerde Erwin Zijleman de cd 'Kid Face' op WoNoBlog (lees hier: http://wonomagazine.blogspot.nl/2014/03/kid-face-samantha-crain.html). Het blijft hier niet bij. 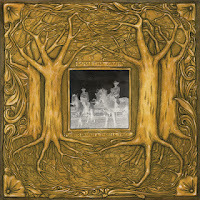 Dit jaar volgt Samantha Crain's nieuwe plaat, Under Branch & Thorn & Tree. Samantha Crain maakte eind 2013 heel veel indruk met Kid Face. De singer-songwriter uit Shawnee, Oklahoma, bleek op deze plaat (die achteraf niet haar debuut bleek) in staat om Amerikaanse rootsmuziek op subtiele wijze te vernieuwen, waardoor Kid Face zowel authentiek als modern klonk. Dat geldt in nog veel sterkere mate voor haar nieuwe plaat Under Branch & Thorn & Tree, want wat is Samantha Crain sinds Kid Face gegroeid en wat is dat gezien het niveau van Kid Face knap. De muziek van Samantha Crain is nog altijd geworteld in traditionele folk en dan met name de folk van de protestzangers uit de jaren 60, maar de Amerikaanse singer-songwriter met Indiaanse roots geeft er op haar nieuwe plaat wederom een geheel eigen draai aan, bijvoorbeeld door ook meer countryinvloeden en invloeden uit de psychedelica in haar muziek te verwerken. Dat hoor je in de instrumentatie die uiterst ingetogen wordt gehouden of juist wordt verrijkt met uiteenlopende instrumenten, variërend van elektronica tot een pedal steel tot een klassiek strijkorkest. Dat hoor je ook in de vocalen van Samantha Crain, die anders klinken dan die van de meeste van haar soortgenoten en opvallen door de passie en emotie die Samantha Crain in haar stem legt. Samantha Crain vertelt op haar nieuwe plaat indringende verhalen en het zijn verhalen die haar diep raken; wat vervolgens direct effect heeft op de luisteraar. Ook voor Under Branch & Thorn & Tree heeft Samantha Crain weer een beroep gedaan op Producer John Vanderslice en dat is een combinatie die nog altijd uitstekend werkt, want wat klinkt de plaat mooi en bijzonder en wat is de uitwerking vaak bezwerend. Samantha Crain maakt op Under Branch & Thorn & Tree geen geheim van haar inspiratiebronnen, maar kijkt vervolgens vooral vooruit, wat in dit genre bijzonder is. Het levert een intieme en emotievolle singer-songwriter plaat op die de lat voor de rest van het jaar op bijna onneembare hoogte legt. Luister naar Goon van Tobias Jesso Jr. en je waant je onmiddellijk in de jaren 70. Nu is popmuziek uit de jaren 70 op het moment een bijzonder populaire inspiratiebron, maar zo duidelijk als op het debuut van Tobias Jesso Jr. hoor je het maar zelden. Luister naar Goon van Tobias Jesso Jr. en je hoort flarden van de beste platen van Elton John, Paul McCartney, Randy Newman, Harry Nilsson, Billy Joel, John Lennon en, vooruit, Gilbert O'Sullivan. Tobias Jesso Jr. bouwt zijn songs op rond zijn tijdloos klinkende pianospel en beschikt over een stem die heel veel kanten op kan.
Goon opent direct met een hopeloos verslavend popliedje. 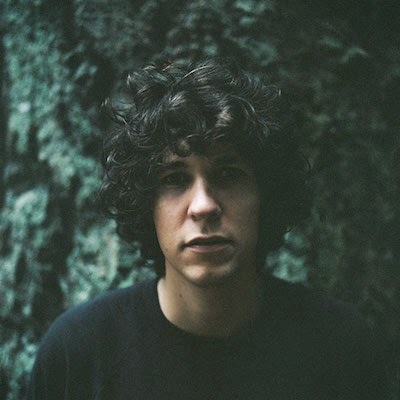 Het is een popliedje dat is gebouwd rond een paar eenvoudige maar ook betoverende pianoakkoorden, waarna de dromerige vocalen van Tobias Jesso Jr. en wat strijkers op de achtergrond de rest doen. Goon bevat een flink aantal van dit soort tijdloze popliedjes, maar Tobias Jesso Jr. kan op Goon meerdere kanten op. Hij beschikt over een stem die raakt aan die van alle hierboven genoemde inspiratiebronnen, maar ook in muzikaal opzicht is Goon een veelzijdige plaat. Dat ligt niet direct aan het instrumentarium, waarin altijd de piano centraal staat (al zijn er op de achtergrond altijd wel wat andere instrumenten en grijpt Tobias Jesso Jr. ook een keer naar de akoestische gitaar), maar wel aan het vermogen van de Canadese singer-songwriter om schaamteloos aanstekelijke popliedjes af te wisselen met songs die wat lastiger te doorgronden zijn. Direct bij eerste beluistering van Goon van Tobias Jesso Jr. had ik het idee dat ik naar een klassieker aan het luisteren was. Dat heeft aan de ene kant te maken met de duidelijk herkenbare inspiratiebronnen van de Canadees en zijn vermogen om volstrekt tijdloze popliedjes te schrijven, maar voor het maken van een klassieker is meer nodig. Dat meer zit op het debuut van Tobias Jesso Jr. vooral in de emotie die de Canadees in zijn songs legt. Tobias Jesso Jr. is in de liefde zo te horen al in heel wat diepe dalen beland en maakt van zijn hart geen moordkuil. Vrijwel alle songs op de plaat gaan over de liefde en dan met name over de schaduwzijde van de liefde. Dat is al decennia lang een uitstekende voedingsbodem voor memorabele songs, maar lang niet iedereen is in staat om zoveel emotie of zelfs leed in zijn of haar songs te leggen als Tobias Jesso Jr. doet op Goon. Goon is een plaat waar de ellende van af druipt, maar het is ook een plaat van een bijna ongekende schoonheid. Tobias Jesso Jr. grossiert op Goon in songs die je na één keer horen nooit meer wilt vergeten. Het zijn songs die door alle emotie diep onder de huid kruipen, maar het zijn songs met zo schaamteloos aanstekelijke akkoorden dat je ze na één keer horen meefluit, of je dit nu wilt of niet. Voor Goon werd een beroep gedaan op meerdere producers, van wie Ariel Rechtshaid (Vampire Weekend, Haim) en Black Keys drummer Patrick Carney de bekendste zijn. Goon is desondanks een consistent klinkende plaat en het is een plaat die net zo goed door Bernie Taupin of George Martin geproduceerd zou kunnen zijn. Goon komt echter het best tot zijn recht wanneer je niet steeds op zoek gaat naar vergelijkingsmateriaal uit een ver verleden. 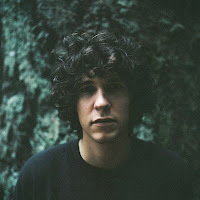 Dan hoor je immers pas hoe mooi de popliedjes van Tobias Jesso Jr. zijn en hoeveel gevoel hij in zijn songs legt. Goon klinkt uiteindelijk niet als een klassieker, maar is er ook een. 2015 is tot dusver een prima muziekjaar, maar deze plaat steekt er vooralsnog een flink stuk bovenuit. Not long ago folk duo The Small Glories featured on this blog when reporting on a live show in the town of Warmond. The EP that was recorded to sell on the tour was bought and now duly reported on. Also not long ago another duo (as it happens also from Canada) featured on this blog, Hymalayan. One of the distinctive features of that 3 song EP was that the two singers had the Slick-Balin factor. I hereby officially announce that Cara Luft and JD Edwardss also have that factor. In abundance. The way they sing together would have blended in into the first two incarnations of Jefferson Airplane without any problem. In that period the band still showed its coffee house folk origins in its rock. The same adventurous all out singing can be found on the 6 song mini album The Small Glories have released ahead of its official debut album that is slated for February 2016. The U.S. folk is not the only distinctive feature. The Small Glories know their U.K. circa 1968 folk also. That much more traditional way of of playing and singing that seemed to go back right into the time of Elizabeth I and before when Robin Hood and Fryer John chanted together in Nottingham Forest. Anyone who listens to 'Long Long Moon' knows that Fairport Convention and Steeleye Span are just around the corner. Next to all these influences The Small Glories has its own voice as well. 'True Story' is as authentic as a song can come. The slow banjo playing embellishing the tightly strummed acoustic guitars. In the end all the music is just an excuse to truly and deeply sing. Luft and Edwards' voices blend in perfect ways. Here I could just copy paste my review of October. Listening to this duo sing is a profound experience. The raw and somewhat nasal voice of Edwards mixes with the angelic voice of Luft, who is not afraid of giving it her all. She has the kind of voice that can give (a lot) extras where I expected her to have reached the outer limits of her reach and/or power. The extras flow easily from her mouth giving the songs an incredible extra depth, that is totally unexpected. Tour de force is again 'Black Waterside' with its fantastic guitar playing by Cara Luft. Jimmy Page has met his folk match. The playing is intricate and forceful. A folk riff to kill for. In music like this there is no need for a band. The two voices and the things with strings (a harmonica is the exception) are enough to tell it all. The Small Glories may be a teaser, put together to have something out during the touring, it is a glory. I just can't wait for that album to come out in three months time. Erwin Zijleman introduceerde het Amerikaanse trio Underhill Rose bij ons in 2013 (zie hier: http://wonomagazine.blogspot.nl/2013/10/something-real-underhill-rose.html). Daar blijft het niet bij. Underhill Rose is een Amerikaans trio dat me tot dusver al twee keer wist te verrassen en overtuigen met een uitstekende plaat. Eleanor Underhill (banjo), Molly Rose (gitaar) en Salley Williamson (staande bas) maakten op hun titelloze debuut uit 2011 en op Something Real uit 2013 nogal traditioneel aandoende muziek met voornamelijk invloeden uit de folk, bluegrass en de country. Het drietal uit Asheville, North Carolina, maakte indruk met de nodige muzikale hoogstandjes, maar imponeerde met werkelijk geweldige stemmen, die elkaar naar grote hoogten wisten te tillen. Hiernaast slaagde Underhill Rose er ook nog eens in om alle traditionele invloeden te verwerken in songs die ook buiten de traditionele rootskringen aan zouden kunnen moeten spreken. Underhill Rose wist, ondanks de twee prima platen, tot dusver helaas nog geen potten te breken in Nederland. Dat moet maar eens gaan veranderen met The Great Tomorrow; de derde plaat van het talentvolle drietal. Op haar derde plaat heeft Underhill Rose de sterke wapens van haar eerste twee platen behouden. Eleanor Underhill, Molly Rose en Salley Williamson spelen ook dit keer de sterren van de hemel en zingen alsof hun leven er van af hangt. De werkelijk prachtig instrumentatie wordt verder ingekleurd met fraaie bijdragen van met name pedal steel en viool, wat de muziek van Underhill Rose nog wat meer kleur en glans geeft. Vergeleken met haar vorige twee platen kiest Underhill Rose op The Great Tomorrow voor een net wat toegankelijker geluid. 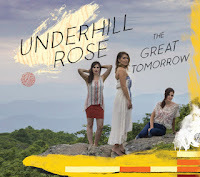 Het is een geluid dat het goed zal doen op de Amerikaanse countrystations, maar ook voor de liefhebber van wat alternatievere Amerikaanse rootsmuziek heeft Underhill Rose op haar derde plaat veel te bieden. De invloeden uit de 70s pop maken het mooie geluid compleet. Na beluistering van Something Real was ik twee jaar geleden direct fan van Underhill Rose. The Great Tomorrow is me nog een stuk dierbaarder.